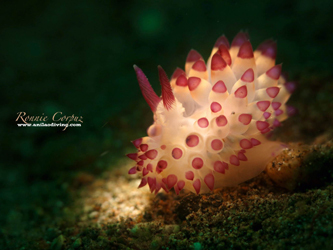 Welcome to Anilao Diving and Resorts, this website was created with three major components the padi dive courses, fun dives or dive package arrangements and resort accommodations. This a vision of Ronnie Corpuz a Padi IDC staff instructor to share his experience and invite more divers and other tourist around the globe to explore this magnificent diving destination in the Philippines. Anilao is currently the number one in macro photography in the whole Philippine archipelago and number two in the whole world - this is base on the responses of the different divers around the globe who came and visit here whole year round. The reason behind this is because Anilao is included in Philippines's MPA Marine Protected Area. The local government of Mabini and Tingloy and NGO's put together an effort to create a CRM Board or Coastal Resource Marine Board to chase out all activities of illegal fishing specially on dive sites and by maintaining good balance and protecting the different coral species from damage of anchoring banca boats and to educate local community in various ways of preserving this wonderful place. Anilao is located south of Luzon Island and is approximately 140 km. away from Manila or 2.5 to 3 hours by car during normal traffic condition or depending on how you drive. Currently Anilao has more than 48 dive sites with about 5 to 10 minutes apart or 30 minutes the farthest point from any resorts. It has a wide variety of diving choices, from novices to instructors where you can see different species of corals, big pelagic fish or rare to find critters where on every dive you will surely be satisfied. Ronnie Corpuz being the full time instructor and many Padi divemasters to render all the services you need in all aspects of scuba diving. 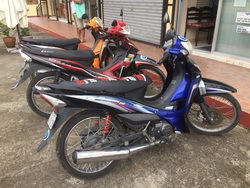 It is also working together with some dive resorts in anilao to share their dive instructional loads or to let the guest choose their preferred resorts choices in terms of their group capacity, life style or diving needs. Now Since April 1, 2017 Anilao Beach Buzz and Dive Resort is the base resort of Anilao Diving and Resorts. Philippines weather station services and information , 24 hour weather news bulletin. Copyright (C) 2006-2019 Produced by Anilao Diving and Resorts All rights reserved.